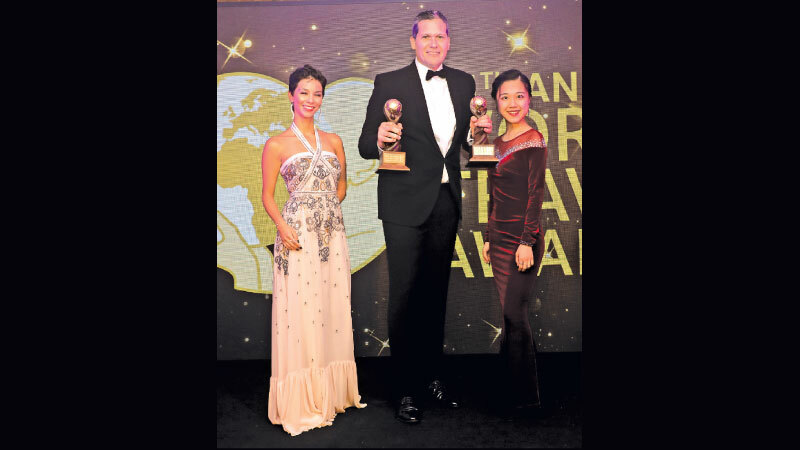 Mövenpick Hotel Colombo received two major awards for “Sri Lanka’s Leading Hotel 2018” and the “Best Presidential Suite” at the recent World Travel Awards 2018, which acknowledge, reward and celebrate excellence across all sectors of the global travel and tourism industry. Mövenpick Hotel Colombo was previously crowned the “Leading Business Hotel” in Sri Lanka by the South Asian Travel Awards in 2017. Earlier last year, the hotel was also awarded “Leading Hotel 2017” together with the “Best Presidential Suite” by the World Travel Awards. Located in the heart of Colombo, the hotel boasts 219 stunning rooms and suites offering panoramic views of the city or Indian Ocean, this cool urban hotel offers unparalleled charm and beautiful spaces. The Presidential Suite of the Mövenpick Hotel Colombo is one of a kind with two elegant bedrooms, 1 King and 1 Twin, a comfortable living room, large bathroom with a Jacuzzi and a fully equipped pantry. The large 254 sqm offer the perfect space for up to 4 adults. Located next to the Arcade - Liberty Plaza, in the heart of the city, in an affluent commercial area in Colombo 3, the location presents a highly entertaining blend of sensory delights.